Bård Pedersen Sætran (my great-great-great grandfather) was the father of my great-great grandmother Sigrid Satrum, who married Peter Olsen Trætstykke. 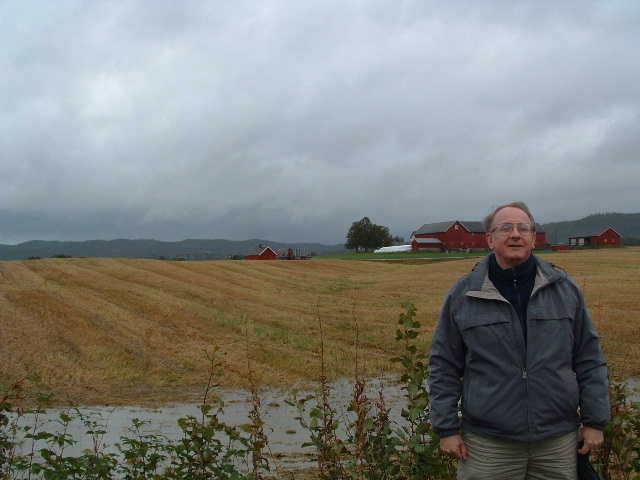 The location in Hegra, Norway, of Bård's house is now just a grain field about 1/2 mile south and west of the Sætran farm. No buildings remain in that location. There is a field road that leads to this location from the main road that goes past the Sætran farm. To get to the Sætran farm, leave the E-14 road and turn north and go past the Hegra church. This is the same intersection where you would head south to Hegra Festning (Fortress). M/ Barbro Olsdatter Setran 10/25/1806-?? 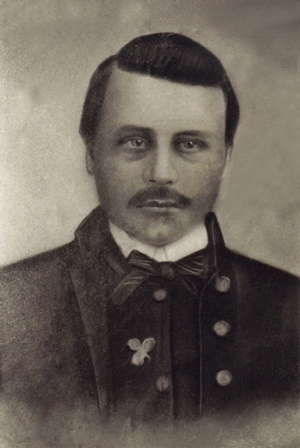 Peder Bårdson Sætran served in the Civil War, was said to have been captured at " The battle of Weldon Railroad" (Ulvestad page 270) and starved to death in prison. One speculation is that Peder died in Andersonville prison but this has not been verified. The trefoil on Peder's uniform may give us a clue where to search (see below). This one seems to match the buttons. A white one would have been that of Union Army 2nd Division Flag, II Corps, Army of the Potomac. During the Siege of Petersburg the Army of the Potomac fought in two (2) "Battles of Weldon Railroad", one in June [Battle of Jerusalem Plank Road] (the Union failed to capture the railroad) and another in August [The Battle of Globe Tavern], and a reference to a "raid" on Weldon Railroad in December (see "assaults" below) that may be associated with Peder's capture. In the August battle the Union army had 4,279 casualties and the Confederates lost between 1,600 and 2,300 men. The Union won this battle leaving the question of whether Peder was captured at this battle or possibly fought there (assuming Ulvestad's reference is correct). The trefoil on Peder's uniform could be that of the 1st Minnesota Volunteer Infantry. We still don't know Peder's Civil War unit but one possibility is that living in Goodhue County near Zumbrota, Minnesota, being so close to Red Wing, Peder may have joined the 1st Minnesota Volunteer Infantry Company "F" often referred to as the "Red Wing Volunteers" or "Goodhue County Volunteers" which recruited at Red Wing. 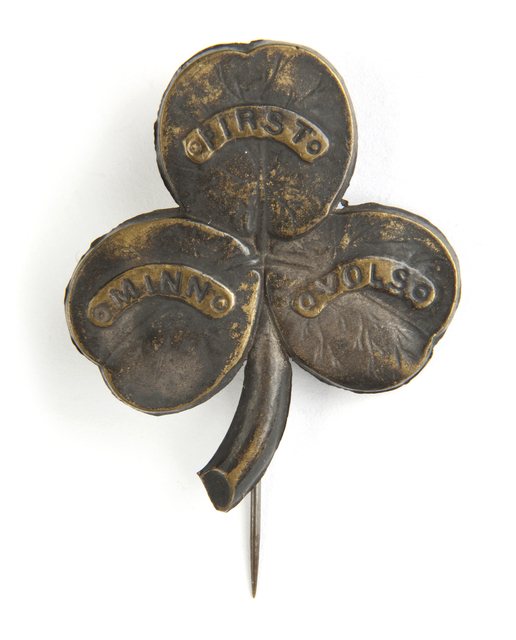 This image is that of the trefoil worn by a soldier of the 1st Minnesota Volunteer Infantry Regiment, Company C (Saint Paul, Minnesota volunteers). A trefoil was also used by the Army of the Potomac but worn on the left breast. Peder's is on the right breast. 1ST MINNESOTA DOCUMENTED ASSAULTS: Assaults on Petersburg June 16–18. Siege of Petersburg June 16, 1864, to April 2, 1865. Jerusalem Plank Road June 22–23, 1864. Demonstration north of the James July 27–29. Deep Bottom July 27–28. Demonstration north of the James August 13–20. Strawberry Plains August 14–18. Weldon Railroad August 25. Boydton Plank Road, Hatcher's Run, October 27–29. Raid on Weldon Railroad December 7–11. Dabney's Mills, Hatcher's Run, February 5–7, 1865. Watkins' House March 25. STILL SEARCHING: I've viewed every name on the 1st Minnesota rosters for each company at http://www.1stminnesota.net/ and could not find a reference to Peder (Bårdson, Baardson, Bordson, Sætran, etc.) in any company. Yet Peder's trefoil suggests this is a logical place to look. Martin Ulvestad traveled throughout the Norwegian settlements in America, documenting their early history and first settlers. 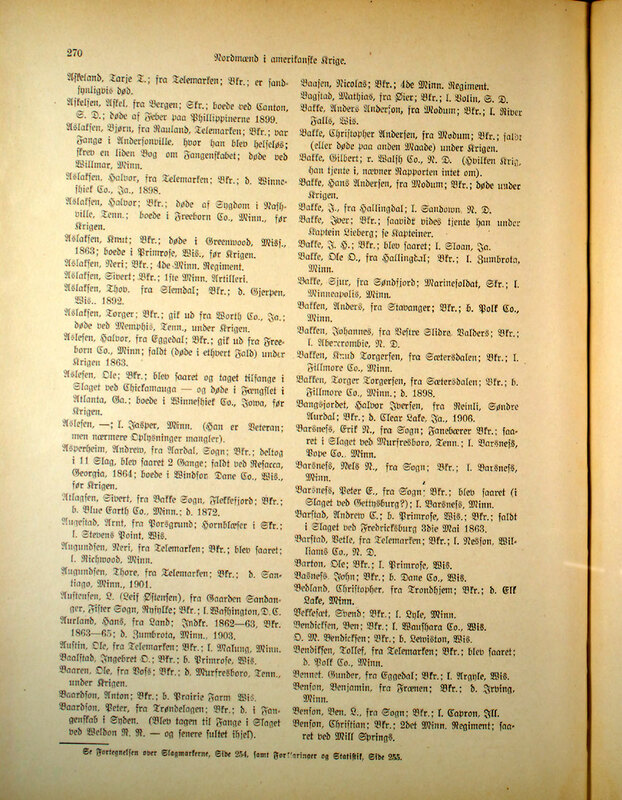 During his years of research, he sent out 450,000 questionnaires seeking historical and biographical information and then published "Nordmændene i Amerika" (literally "The North Men in America") in 1907.Two pages in Martin Ulvestad's book document who we believe to be Peder in the Civil War. He is listed there as Peder Baardson. Click on the page number to see that page. There is still much work to do to verify the details about Peder. Bård Pedersen Sætran was born August 10, 1812 in Norway and went to South SAETRAN farm number 10. 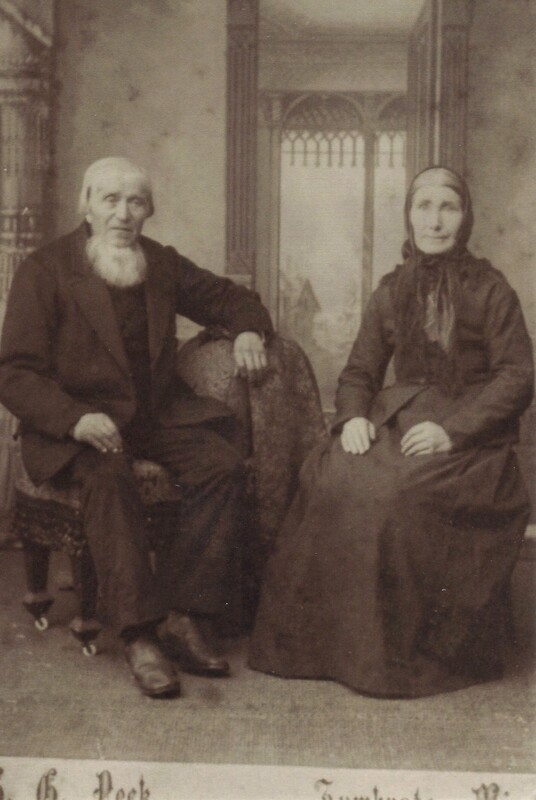 Bård Pedersen Sætran married Ingeborg Hansdatter Saetran in Norway on May 28, 1832. Ingeborg was the daughter of Hans Sætran and Daardi Kvall. Ingeborg was born 1810 in Norway, and died January 18,1850 in Norway. They farmed the South SAETRAN farm number 10. Seven children were born to this union. Six of the children immigrated to the United States including their daughter Sigrid Baardsdatter Sætran who married Peter Olesen Trætstykke. Bård later married Ellen (Eli) Hansdatter Traelstad on May 29, 1855 in Norway. Ellen was the daughter of Hans Traelstad and Ane Ulstad. She was born June 16, 1826 in Gaarden Trelstad in Ovre, Stordalen, Hegre's Prestehjeld, Norway. They immigrated to the USA and homesteaded a farm in 1857. Minnesota was a territory at that time, having been named Minnesota territory in 1848. In a letter dated March 4, 1857 it was stated that the population of Minnesota was 170,000. The townships of Minneola and Zumbrota were one organization. The first meeting was held July 5, 1858. In 1860 Minneola was separated from Zumbrota. The name Minneola was taken from two Indian words meaning "much water". The trip took between 6 and 8 weeks to reach the U.S.A. They then came to Red Wing and walked 25-30 miles to Wanamingo. They bought land in 1857. They had five children, all born in the area. Bård Pedersen Sætran and Ellen (Eli) Hansdatter Traelstad are buried in Minneola Lutheran Church Cemetery, Zumbrota, Minnesota. 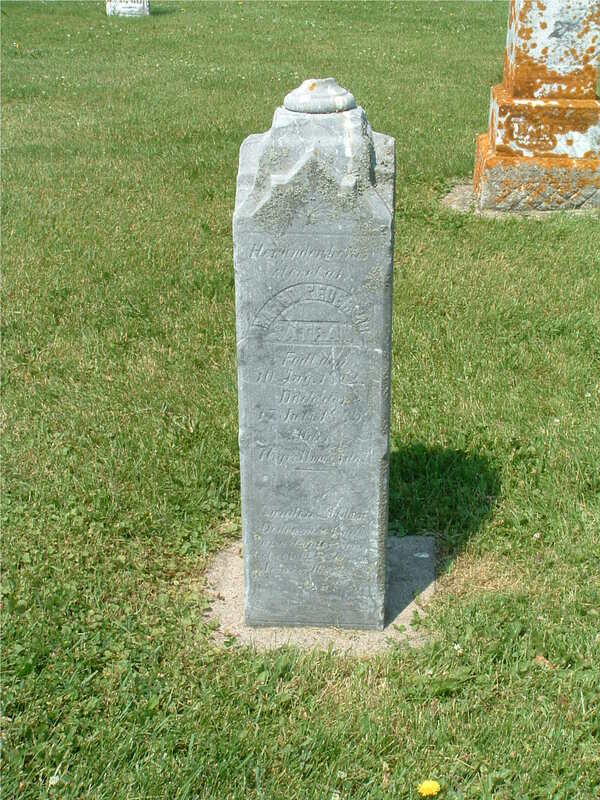 Baard died July 17, 1889 in Wanamingo, Minnesota and Ellen died March 30, 1914 in Minnesota, U.S.A. She was buried April 03, 1914. <Click on the tombstone image to see Bård's tombstone>. Their daughter, Sigrid Bårdsdatter Sætran and her husband Peter Olesen Trætstykke are buried in that same cemetery. Just as Peter and Bartinus Satrum changed their names several times finally settling on "Satrum", the descendents of Bård Pedersen Sætran changed their last name many times using various spellings of Sætran, including Setran, eventually settling on "Satren". <CLICK HERE> or on the plat image to see the location of Bård's farm in 1877 - it is outlined in blue.on the image. Bård's daughter, Sigrid and her husband, Peter Olesen's farm is to the northeast outlined in red. Both Peter and Bård are buried in the Minneola church cemetery along with their wives . On the map, the church is highlighted in green. Peter's son, Bartinus, and his wife Lena are buried there as well. When looking at the proximity of the church to their farms, you can see why this would have been a logical church for them. Bård Pedersen Farm near Wanamingo, Minnesota - 1877: The Bård Pedersen farm in Goodhue County, Minnesota, was in Minneola Township 110 North, Range 16 west in section 20 only a few miles west and south of the location that would eventually become my grandfather Bartinus Satrum's farm #2. 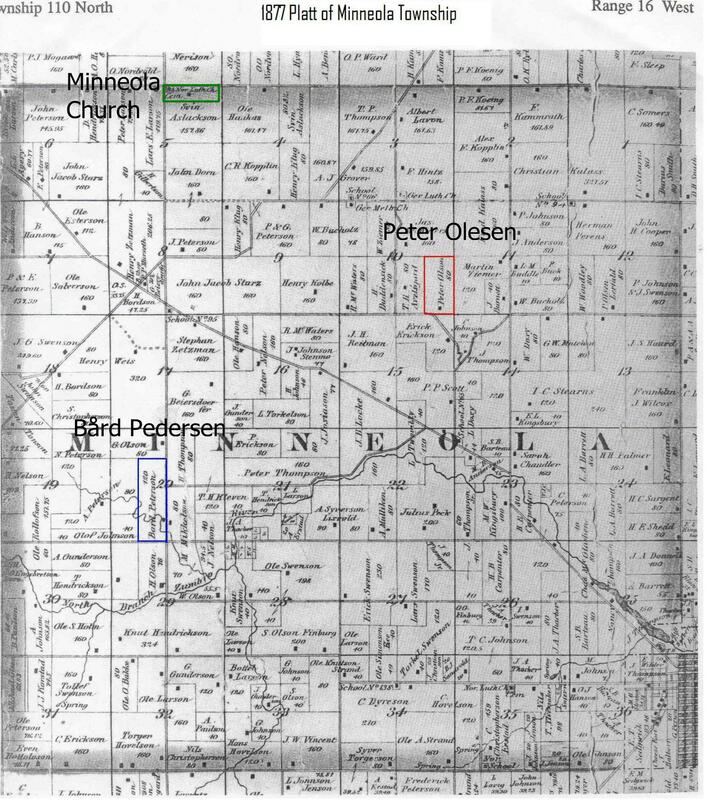 In the 1877 Plat book of Minneola township Bård's farm is listed under the name of "Bord Peterson" with an area of 120 acres. 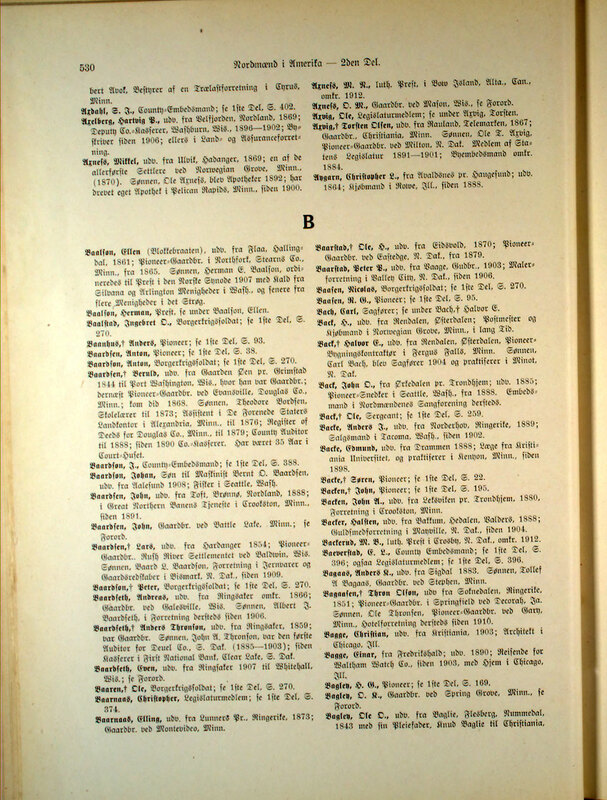 1894: On the 1894 plat book the farm is listed as the farm of "P.B. Satran. Peder owned the farm until his death in approximately 1941. Peter Satren believes that Arling and Stella Froisland owned it or farmed it. Stella was Peder's daughter, Peter's dad's sister. But they might have only farmed the land while it was owned by all of Peder's children. Russell Boraas eventually bought it and, in a way, it was still in the family because Mrs. Boraas was a descendant of Baard's. While I have not verified this, I believe this is Bård's son Peder from his second marriage to Ellen Hansdatter Trelstad.